I’ve noticed a bit of a trend here at Purple Co. We are starting to receive an increased number of referrals for clients who have been job seeking for many months – sometimes for years – without success. And we are asked to review their job search strategy and help the client become successful in their application for a new job with a new employer. In almost all cases, what we identify is that the client has very outdated job search tools and methods. They haven’t been taught how to access the vacancies they are looking for and they have little to no skills in being able to source casual, part time or contracted employment. They come with this myth of thinking they need a job for life (which essentially means they are craving security). What has changed – well the world of work has significantly changed in 20 years – and the way we seek new employment with a new employer has significantly changed. Way back in 1994, the internet was in its infancy. I was working for the federal Government in that awesome place called CRS Australia (back than it was still known as the Commonwealth Rehabilitation Service – today it no longer exists). We shared a computer, we worked in something called DOS and I handwrote all my notes. Job seeking meant newspapers. Yes, it did. Newspapers, scissors, writing applications by hand, and using the “computer” to type up a resume. OK, some people were skilled enough to use typewriters and a computer keyboard, but we created 1 cover letter for a client with 1 resume, and that was their job search arsenal. That meant that there was no tweaking, no specificity to the job being advertised. To be honest the types of jobs we were helping clients apply for 20 years ago were different too. And they way recruitment searched for talent was also very different. To source vacancies, we looked to newspapers, the Commonwealth Employment Service (CES) and we networked. The really brave ones, well we would go door knocking with our clients and simply go and ask for jobs. Today however we have a very discerning employee, and a very discerning employer. There is a war for talent, and also a war on talent, and how we access opportunities and support our clients through behavioral interviewing, group interviews, or through networking for job search requires a completely different skill set and range of marketing material. In the past 20 years, we have seen the rise of job hopping, of more contracted work, of increased use of freelance and contractors – essentially micro enterprises. The day and age of a full-time job for life disappeared a long time ago. People ‘job hop’ for growth and development more than for financial reward and there is a plethora of writing out there explaining that people will leave a boss instead of leaving a job. The role of social and emotional intelligence at work is on the rise. Everyone can learn technical skills, but work behaviors, initiative and innovation – heck that’s a tad more difficult. Just recently we at Purple Co has assisted a woman in her late 40’s return to paid employment by helping her develop three (3) different freelance opportunities that when combined, enabled her to replicate her pre-disability income, provide for the flexibility she needed to manage her ongoing recovery, and to have a plan for her future should her needs change. We have also assisted a client who held a high level of classification in the NSW Public service who came to us wanting a stepping stone kind of role while he was recovering. The resume and cover letter that that had been created for him clearly identified what he had achieved and done in his career, which held little value to the retail sales positions he wanted to apply for now. He wasn’t getting to interview, because, rightly so, everyone who read his resume and cover letter expected he was over qualified for retail sales roles, and then asked – why would he be applying for this job, what is wrong with him? And then we have another client who hasn’t been required to look for a job in 30 years. Each position he has been head hunted. His experience of a resume was something his kids needed. He landed a cadetship following graduation and from there he climbed the corporate ranks without the need of a formal resume or any other marketing documents. He had NO idea what to do when it came to looking for work. None, and this terrified him. Therefore, writing 1 resume and 1 cover letter isn’t going to cut it for most job seekers. We know, as RTW and Rehabilitation Professionals, to develop and update our knowledge and skills. Determining what specific activities does each client need to engage in to look for the work they want to apply for? This requires an understanding of different sectors, different industries and different companies. Assist clients on how to use their resume and other marketing documents to meet the needs of the position being applied for. This requires us to educate our clients on what to change and when, and how to customize their marketing documents to help them in responding to specific advertisements. How to help our clients address the needs of the position they are applying for, helping them to express how they meet the need implicit to why the job is being advertised. This is so much more than ticking off a checklist of meeting the essential and desirable criteria for a job. How to help our clients handle the objections that an employer or recruiter may have about recommending them for the role. This is especially true for our Rehabilitation and RTW clients who have been out of the paid workforce for some time (think months here, not years) or who may also be looking at a different type of role than has been historically performed in their work history. Helping our clients to articulate what they have done in past roles and how this knowledge and experience will help a new employer – after all, no one is all that interested in what you have done, they are more interested in what you can do for them. Assisting our clients to research the companies/ businesses they are applying to so they are armed with knowledge specific to the role they are applying for, and how that role fits into the bigger picture of why the business, service or department exists. Updating Linked In profiles (or other social media profiles where appropriate). However, Linked In is not a static set and forget platform. There is a need to know and apply the online networking principles that using a platform liked Linked In requires. Clients need to understand why they need to be posting content, what content to post and engage in, and how this engagement contributes to their marketability and employability. Facilitating clients to engage with their networks for the specific purpose of identifying hidden vacancies. This means helping clients create a network, or re-engage in a network and address their fear around reputation management while they are engaging in these activities. Getting a new job is hard. It’s emotionally hard for us and for our clients. Don’t we want to put our client’s in the best possible position to be able to do this? 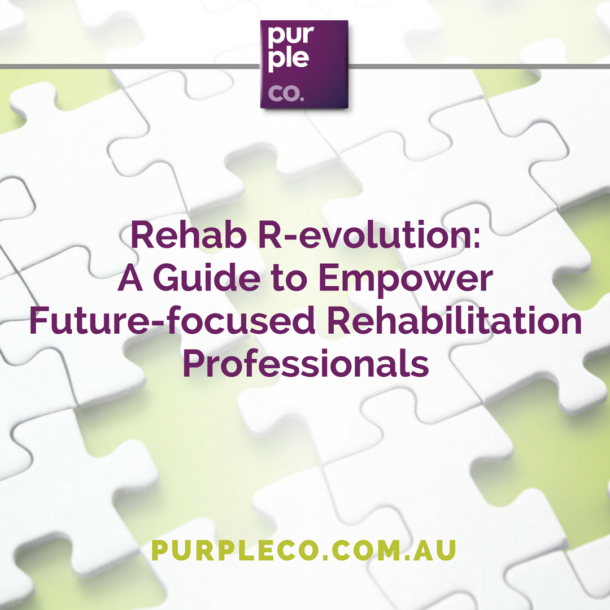 It’s time for us as Rehabilitation professionals to acknowledge that we need upskilling, and we need to find new resources to help us with this. Maybe we don’t have to be the one stop shop and maybe the industry, our clients and our customers will be better served by us engaging with service providers who have better quality expertise in this specific type of activity. Maybe it’s time to recognize that some rehabilitation professionals want to excel in this and others don’t, and we can be OK with this.